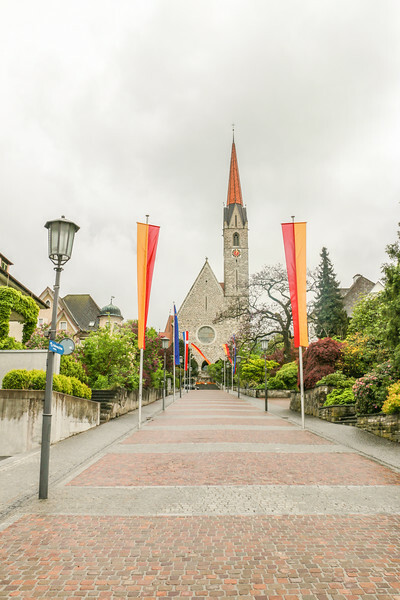 During our visit to central Europe this spring, and while in Switzerland, we spent almost a day exploring neighbor country Liechtenstein and its major attractions. Unfortunately, we were unable to fully enjoy it as the weather up in the mountains was not as inviting as down in the valley, where it was a beautiful and pleasant day. 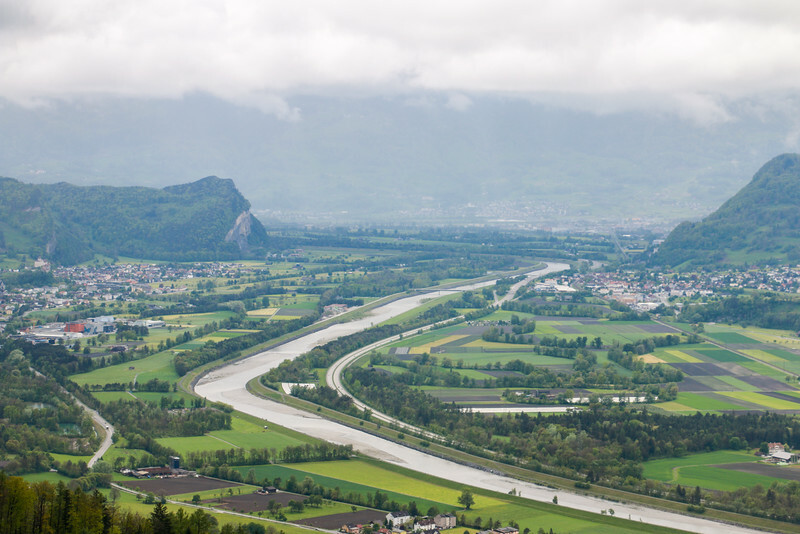 For a more detailed visit, there are different hiking trails and snow sports (during winter time), which certainly make visiting Liechtenstein even more appealing. We must say we were happily surprised with what the country had to offer and that it’s worth visiting, besides the reason of collecting yet another visited country to your travel bucket. 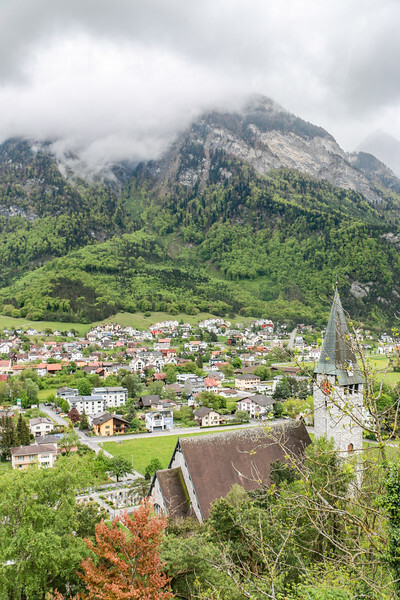 This is our small guide to a one-day visit to Liechtenstein and it features our experience while visiting the country. Liechtenstein, officially the Principality of Liechtenstein or Fürstentum Liechtenstein, is a landlocked alpine country in central Europe bordered by both Switzerland and Austria and whose capital is the city of Vaduz. 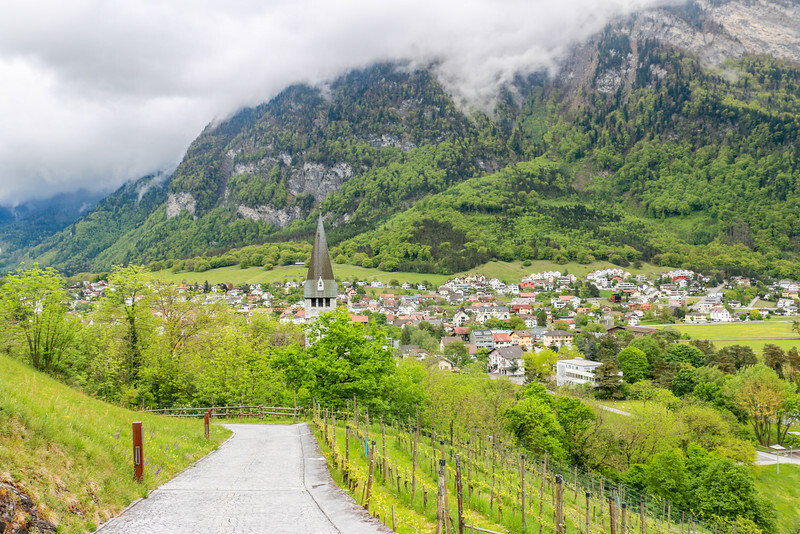 With a population short of 40 thousand and 160 km2, it’s one of the smallest states in the world and, despite being small, Liechtenstein enjoys one of the highest standards of living and a spectacular alpine setting in the Rhine valley. 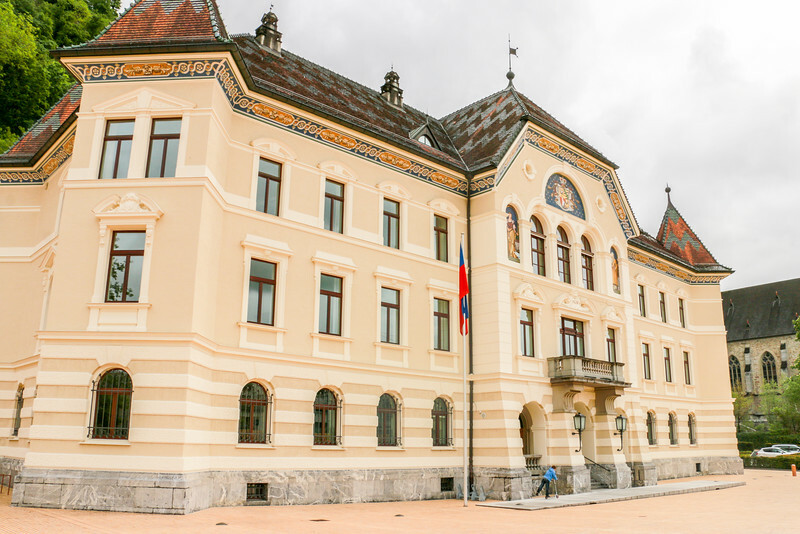 Liechtenstein shares some common ground with Switzerland, namely customs and currency (Swiss Francs – CHF). There is no airport in the country and the closest major one is in Zurich, so getting in is mostly done by road or train (the one line between Switzerland and Austria). From the Swiss side to the west, the Rhine river makes the border and one can get in using one of the bridges (or swim…). From the Swiss side to the south, there is a road south of Balzers. From the north, the Austrian border of Feldkirch. 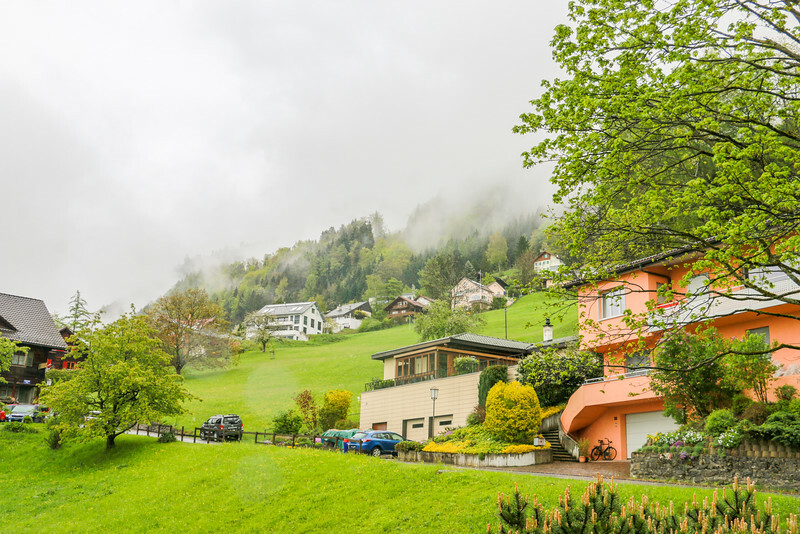 Liechtenstein being an alpine country it’s easy for us to like its natural beauty, as mountains and valleys are one of our favorite landscapes, but before we dive into more detail let’s start from the beginning of our trip. 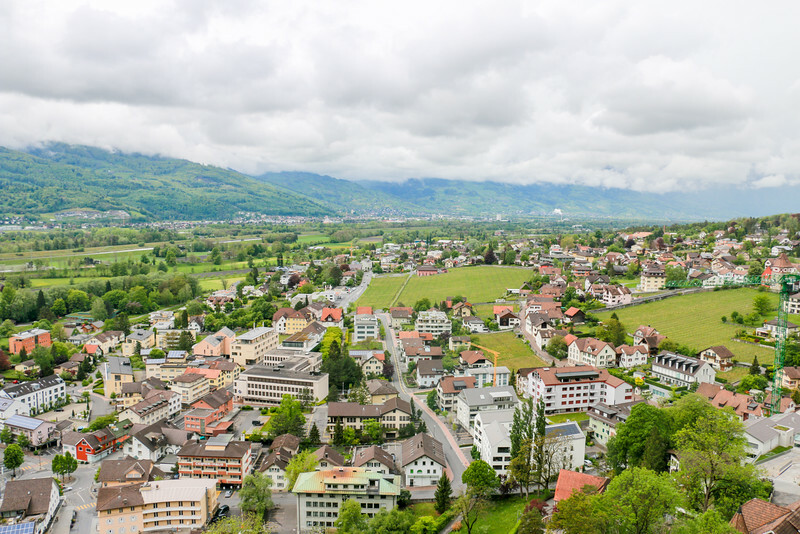 We entered Liechtenstein from the west towards the city of Schaan, the biggest of the country, and made our way up to the Austrian border at Feldkirch, where we did a quick walk around before returning. The border crossing here is a proper one with police and stuff, although they did not stop our car. This road to the border goes mostly through a residential area so the interest for a fellow visitor is close to none, except to see how well organized and clean the country seems to be. On our way back south, we took a detour east, just before Schaan, up the mountain to the small town of Planken. A winding road climbs to this small community through the forest. 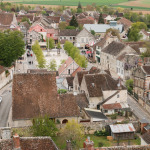 Planken is the smallest community in the country. The weather was a bit closed but good enough to fully see how the place looked like and its nice houses, naturally prepared for the winter months and snow. Back on the main road, Schaan is next. The main sight here is the church that sits beautifully on a small hill. You can park just off the main road to take some pictures. From here just follow the road to Vaduz. 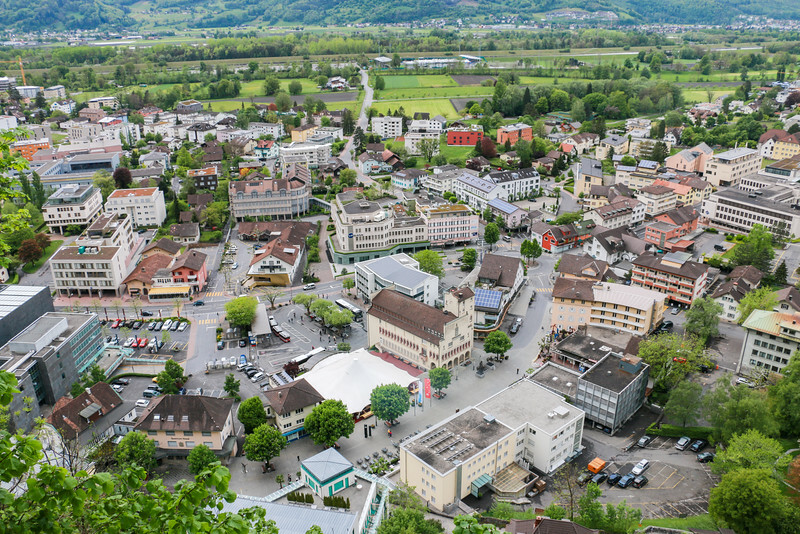 The capital is certainly where most visitors go when visiting Liechtenstein and, yes, it’s worth it. 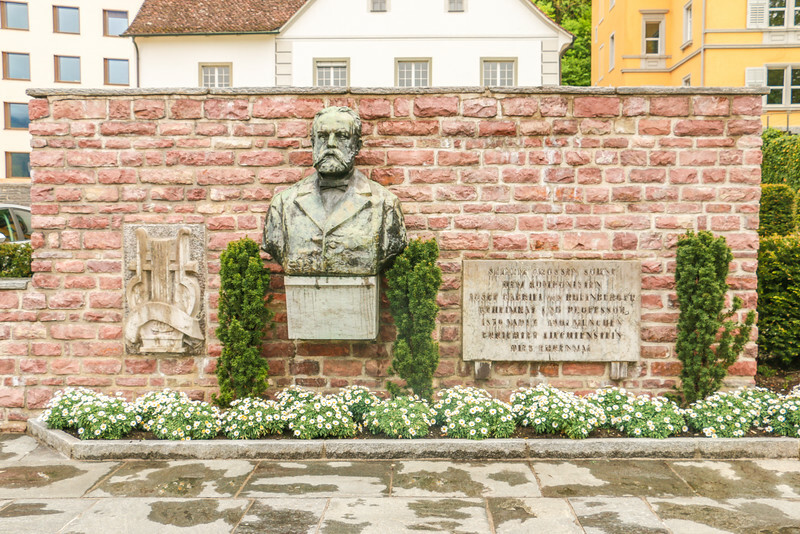 Finding a parking spot is easy as there are many places (some paid) available just off the main street, including underground, and all of the attractions in downtown Vaduz are within walking distance. We used an underground parking that connects to the museum. 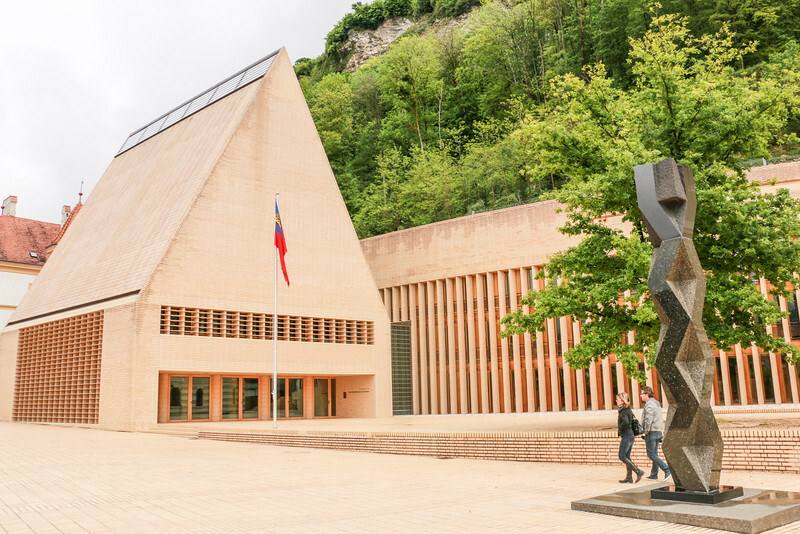 Kunstmuseum is easy to find in a distinctive modern building and makes a good starting point to explore Vaduz, either by going in or just passing along (though it was closed for improvements when we visited). Just behind the museum, there is a pedestrian street with cafés, restaurants, and the tourism office. 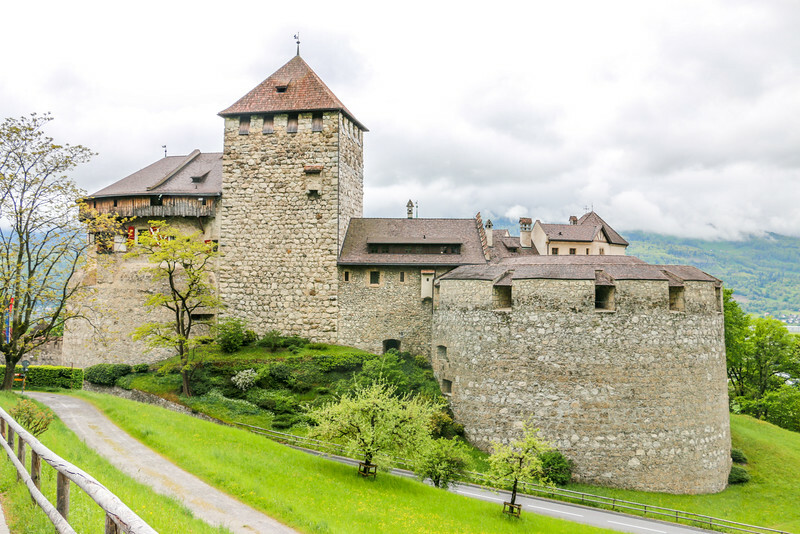 At the latter you can get your passport stamped for 3 CHF, so you can let everyone know you visited Liechtenstein! 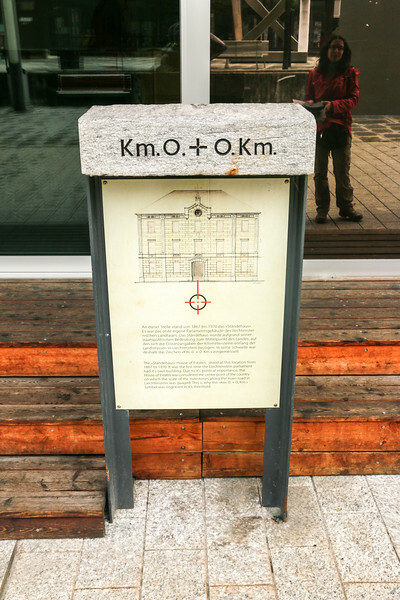 Don’t forget to take a look at the plaque that marks km 0 in the country, the place from where all the roads were measured back in the day. Walking further down you get to Peter-Kaiser-Platz square. Over here a couple of interesting buildings house the parliament and the government, with the whole square giving a very nice warm feeling, probably because of the color along with some street art. Just after the square we walked a bit more to find Vaduz Cathedral (or Kathedrale St. Florin), undergoing some maintenance as well. A nice one. Saving the best for last. 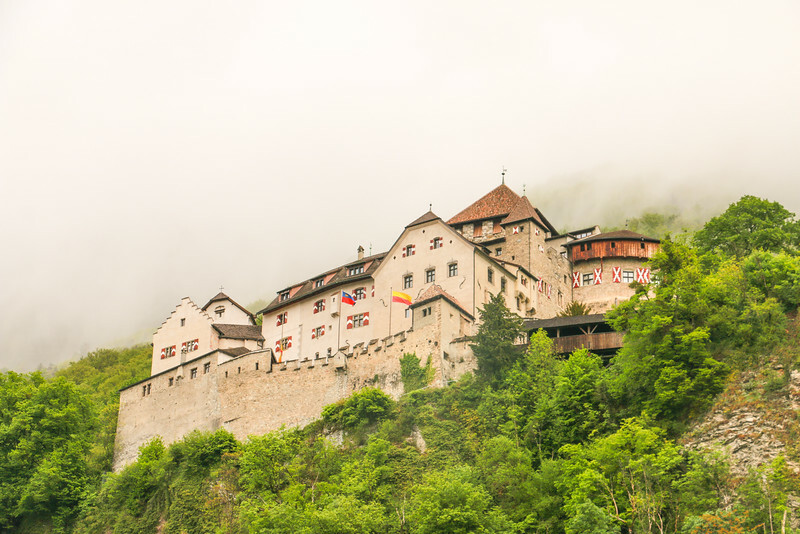 Just above us all this time, Vaduz castle can be spotted on the top of a hill – just look over your shoulder. The castle is closed to the public, but no worries, you can get closer to it as there is a walking path up there and a road. Being in lazy mode, we chose the car. We parked in a car park close to the castle, a bit further up the road. It’s a 5-minute walk down to better see the official residence of the Prince. Not a very big castle, but finding an old and well-preserved one that is actually still lived in is awesome. As we mentioned before, the castle is closed to the public. 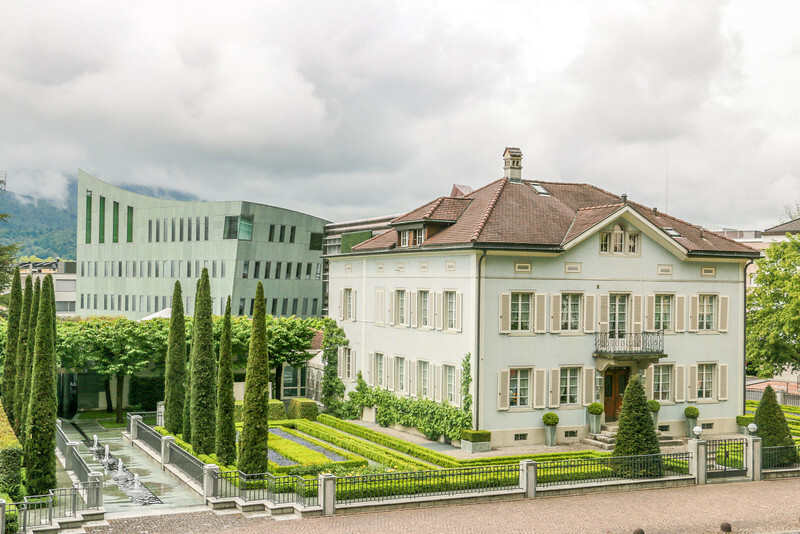 Unless you happen to be a Liechtenstein citizen on the country’s national holiday, the day the Prince invites people over, you’re out of luck for good. Fortunately, when we got up there the fog cleared and we managed to see the spectacular valley views. There is a balcony to the right of the castle, in the middle of trees, where you can relax and enjoy the scenery. Follow the sidewalk down. The road from the parking nearby the castle leads to the mountains, starting with some small communities like Triesenberg and all the way up to the winter resort of Malbun. We only made it as far as Triesenberg since it started raining and the fog became more intense. Down we went to the valley. Our last stop before getting back into Switzerland was in Balzers, south end of Liechtenstein. 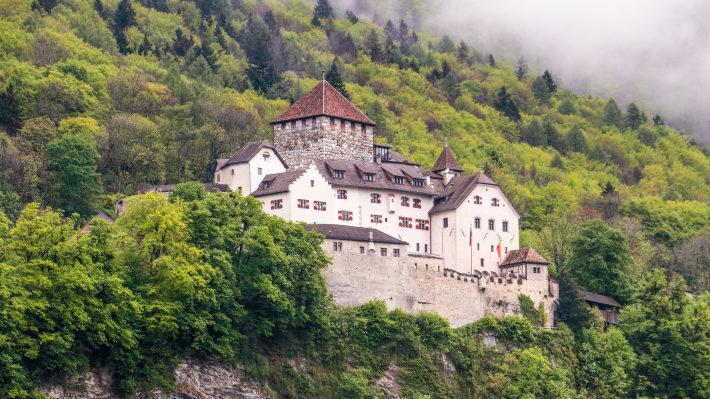 Balzers is best known for its castle – Burg Gutenberg, imposingly sitting on a hill top. Getting here is really easy as the castle can be seen from far away. There’s parking available at the base and a small walk up leads to the castle. The views are pretty cool! We stopped plenty of times to admire the view and take one more picture. Our trip ended around late afternoon and after spending almost a full day in this country we must say it was a very pleasant experience. If we find ourselves in the region again we’ll try to hit the mountains and do some hiking. 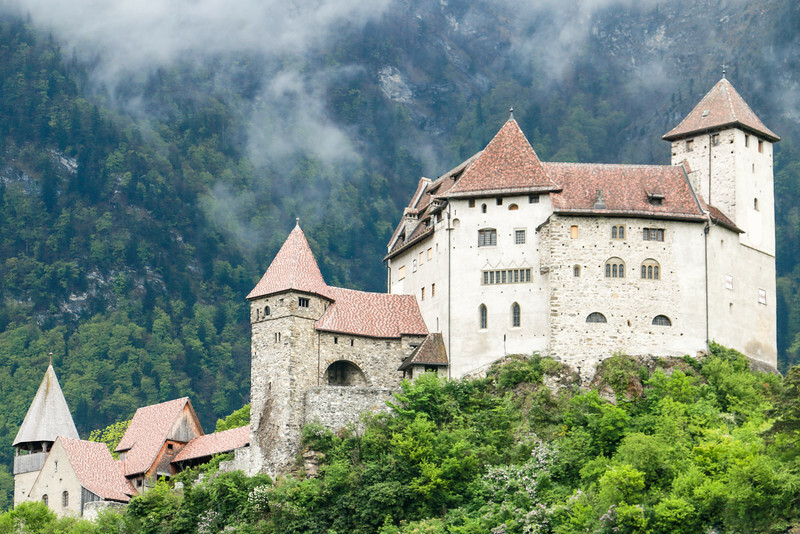 Have you been to Liechtenstein? If so, feel free to share some comments about your trip or ours! 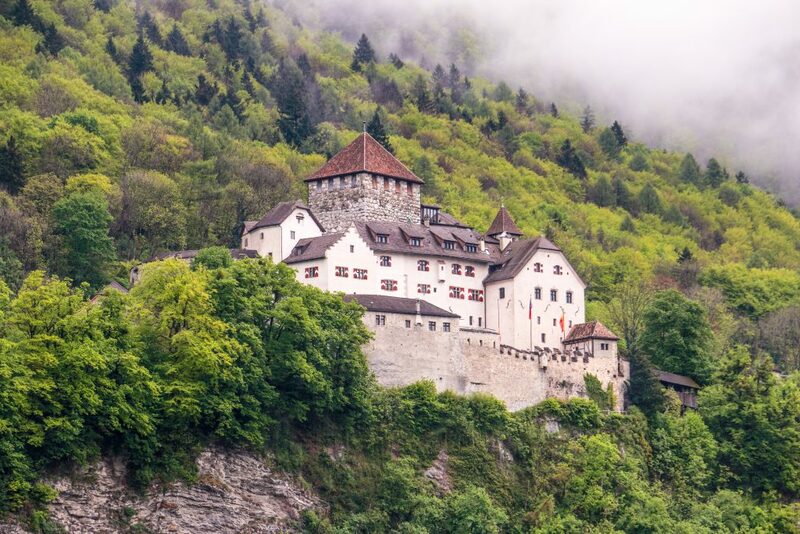 If you haven’t, Liechtenstein should be added to your travel list, particularly if visiting the neighbor countries. It’s worth your time. 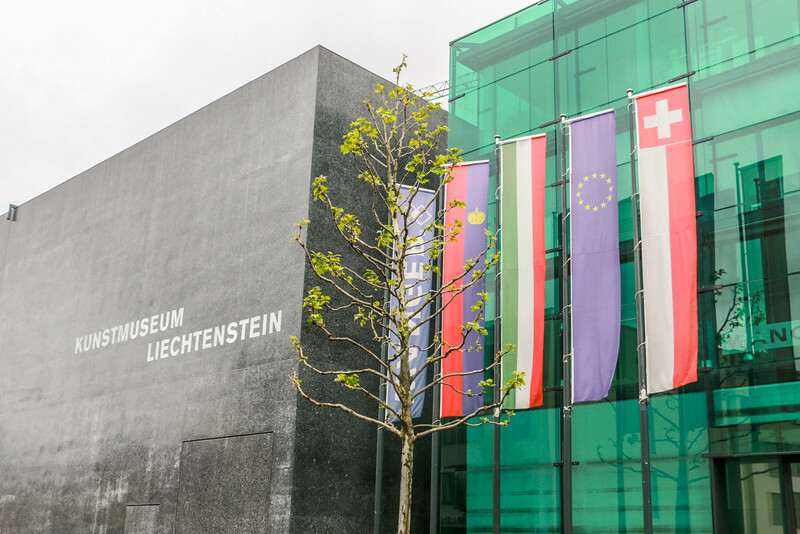 Planning to visit Liechtenstein? Let us know in the comments below! 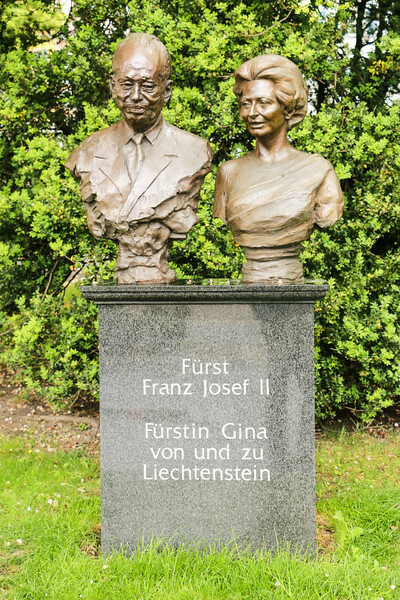 Thanks for a nice list of tips for places to visit in Liechtenstein. We’re traveling there next week. Do you think a couple of hours is enough for this, if you’re quick? It looks like a beautiful country but the scenary is probably the same as in Switzerland and Austria? If you’re super quick, yes. 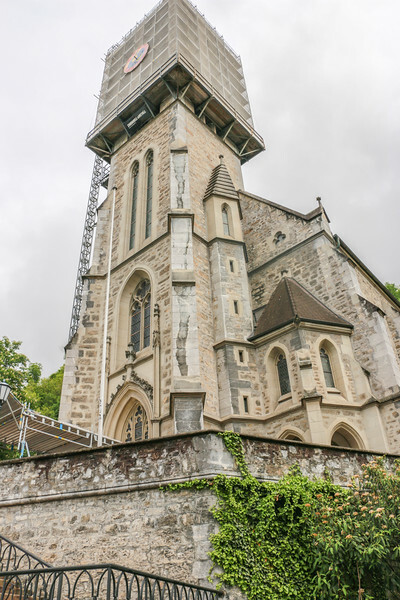 For example, head up to the castle and see the views from there and take a stroll around the tiny centre of Vaduz. Scenery wise it’s very identical, alpine kind of landscape. I was reading your report and wanted to know if there is a way we can park our car and walk over to Liechtenstein from Switzerland? Our rental company does not allow us to take the car there. Can you see the castle from the border? You can definitely walk from Switzerland but I’m not sure where you can park. There are a few bridges, including pedestrian ones. You should be able to see the castle from far but it’s much better from up close. Quite strange that your rental car doesn’t let you take the car. 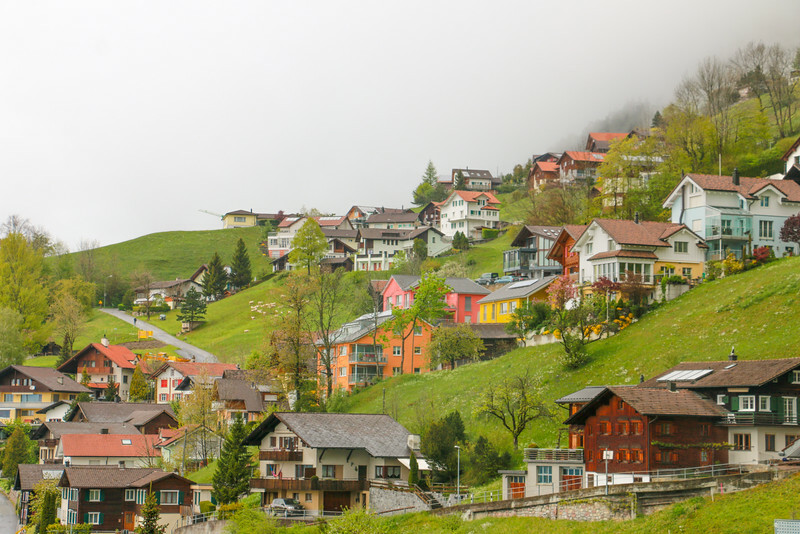 Liechtenstein shares a lot with Switzerland and driving there is trouble-free. Very interesting post! I hope to visit this small country one day. Hug from Portugal.